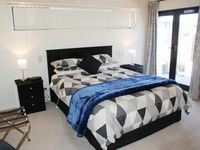 Properties in Te Awanga average 4.7 out of 5 stars. Property 6: Kuku Cottage. The perfect coastal getaway. 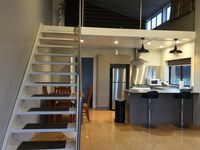 Property 33: Tramal Studio Apartment semi rural outlook. As all I required was a quiet room with some home comforts it was perfect. Very comfy bed with good ensuite &amp; good tea/coffee making facilities. The host was very polite &amp; welcoming &amp; I'm sure nothing would be a problem to her. Definitely have no issues in staying there again &amp; recommend it to anyone contemplating somewhere to stay. Regards Peter Taylor. This apartment was perfect for our stay, it has everything you need plus more. The location is great. We arrived to a bottle of wine in the fridge, a bowl of fruit and mini Easter eggs, such a lovely extra touch and gratefully received. I would absolutely recommend this accommodation and would definitely book again when up that way.